December already? Where did the year go? It has been quite a busy one, and everyone at the office is grateful for all of our clients, but I’m going to go a little off script here in terms of counting our blessings so that I can mention something not very “holidayish.” Likewise, I should also mention that the headline of this note has no causal relationship — efforts to prevent ACL or hamstring injuries do not lead to recipe-sharing. I’m just hoping it caught your attention. In all seriousness, I want to make an important suggestion to the parents who read this: Get your kids who play youth sports screened at Capitol Rehab for functional weaknesses that could lead to serious athletic injuries. First, let me be honest about something. I’ve been working with our entire staff of physical therapists and chiropractors to create a more concise and comprehensive protocol for the prevention of ACL knee injuries and treatment of hamstring pulls. The protocols aren’t completely finished, but I have a new sense of urgency in offering this to our athletes. Why? In the last month, ACL tears and hamstring pulls have been occurring in young athletes at a staggering rate. More young athletes are competing in sports with greater intensity, but they often don’t have the opportunity to train their bodies to handle the increased load. Young athletes are suffering adult-level injuries because their bodies have yet to be fully developed. Their bodies are in the process of growing, and they are not yet trained to handle the increased physical demands. I recommend bringing them in now, in December, to get assessed so we can identify likely areas of concern and start introducing some basic activities that all young athletes should be doing to prevent injuries. This is particularly relevant at this time for student athletes who participate in sports like lacrosse, soccer, basketball and track. Injuries are common this time of year because students are coming from the off-season and getting ready to compete, or they just finished their school team schedule and are headed into a more rigorous travel sports schedule, or they are switching from one sport to another. I realize this may seem like putting the cart before the horse when I say that my protocol isn’t perfectly overhauled yet, but we can’t wait to act. Even without the perfectly polished protocols, there is a lot we can teach young athletes just to get the ball rolling, so to speak. 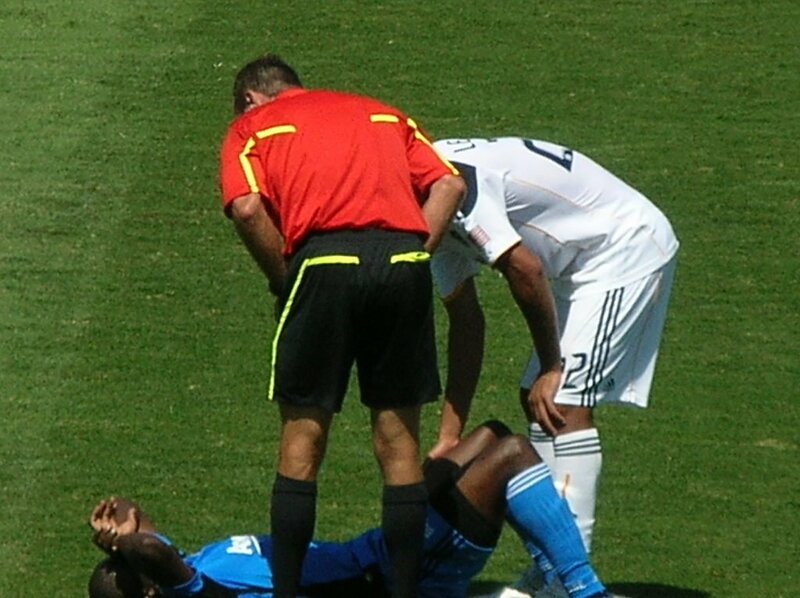 Don’t wait, these injuries are terrible, but we can help prevent many of them. In happier news, it’s the holiday season and there is nothing I like more than having the family over for Christmas dinner. Many of you don’t know this, but cooking Christmas dinner has kind of become my new thing. The tricky part is I married into a huge family, and our gatherings range from 40-70 people coming through the house. Every holiday, I try to drop a new recipe or add a new twist to an old recipe, but this year I could use some help and inspiration. If you have a holiday dish that you would swear is always a showstopper, please send it over to me! If you want to share your recipe, send it here. I’ll give it a try, and if you like we will post it on our Facebook page in the coming weeks to share with other friends of Capitol Rehab! In this holiday season, be safe, take care of yourselves, come see us to make sure you’re in top form during a very active and sometimes high-stress season, and have a very wonderful holiday, whatever occasion you are celebrating!